IAS provides accreditation for structural steel (AC172), reinforced and precast/pre-stressed concrete (AC157) and wood wall panel fabricators (AC196) based on requirements in Chapter 17 of the International Building Code®. Getting accredited involves an assessment of the fabricators management system and verification that the on-site inspections have met the requirements of industry standards and IAS accreditation criteria. Maintaining accreditation requires periodic assessments as required by the building code. 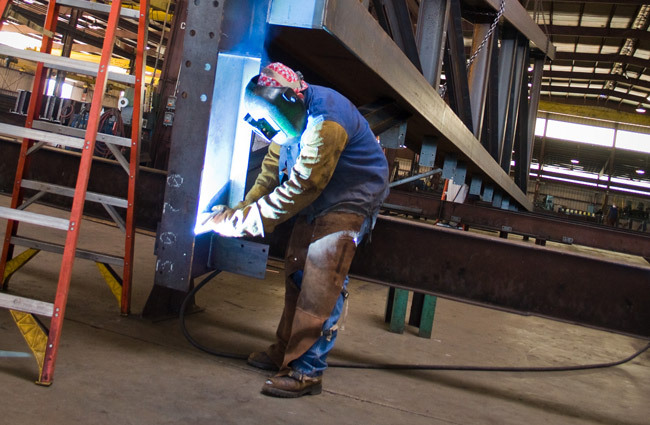 Verification that approved fabricators meet requirements as described in Chapter 17 of the IBC. Provides building regulators, owners and specifiers a high level of confidence that an approved fabricator consistently demonstrates competency to implement quality and code compliance pursuant to project specifications. Provides building departments a means to register and approve fabricators. Meets code requirements, eliminates continuous special inspection requirements in the fab shop, saves time and money.